The Partisans of Ali: A Series Overview In a five-part series, we look at the origins of the Sunni-Shia split in Islam, the religious and historical differences, how Iran became Shiite, and how conflicts involving Shiism have made an impact beyond the Middle East. 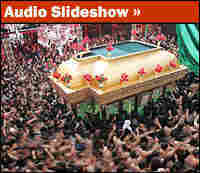 Iraqi women visit the shrine of Imam al-Kazem in Baghdad, March 20, 2006, to commemorate the death of Imam Hussein, grandson of the Prophet Muhammad and a key figure for the Shiite community. 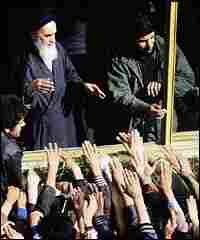 Ayatollah Ruhollah Khomeini is greeted by supporters during his return to Iran in 1979 after 15 years in exile. 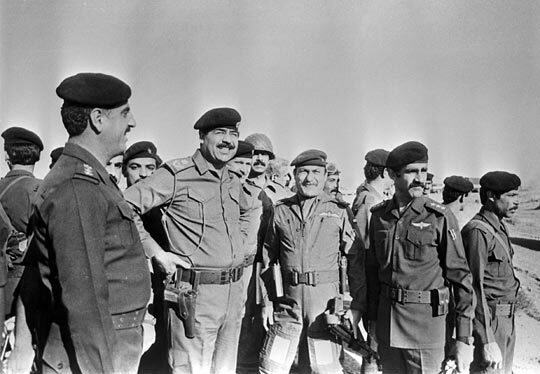 Iraqi President Saddam Hussein confers with members of his staff during the Iran-Iraq war in 1987. In December, Silvestre Reyes, the newly appointed Democratic chairman of the House Select Committee on Intelligence, was asked whether al-Qaida is a Sunni or Shiite Muslim organization. "Predominantly — probably Shiite," was Reyes' answer. It's a sure bet that if Reyes couldn't answer that question correctly — and he has been a member of the Intelligence Committee for years — then the questions of who is Sunni and who is Shiite and what is the difference between the two are bedeviling many Americans. Our five-part series is an attempt to provide some answers about the origins of the Sunni-Shia split in Islam, the religious and historical differences, how Iran became Shiite, and how the events of the past century have made the politics and conflicts involving Shiism so important in the lives of so many Americans. Part 1 begins at the beginning, with the appearance of the Prophet Muhammad in Arabia in the early seventh century, and the difficulty the small community of Muslims faced after his death in determining who should lead them. The majority wanted the community to choose its leader. They would become the Sunni. 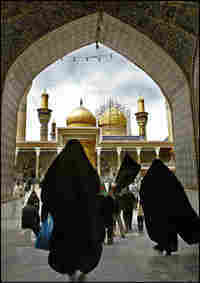 A smaller group favored a member of the Prophet's family, Ali, to succeed him. They would become the Shia or "the partisans of Ali." From the beginning, this disagreement was marked by violent conflict. Over the centuries, there would be more conflict, and Shiism would take hold most strongly in Persia, in the 16th century, brought by foreign conquerors. In the 20th century — Part 2 of the series — the division between Sunni and Shia emerges as one of the most important factors in the continuous upheavals of the Middle East. Iran (formerly Persia) was at its center, becoming the world's first Islamic state, a Shiite state, in 1979, led by Ayatollah Ruhollah Khomeini. Khomeini was a revolutionary, overturning centuries of Shiite doctrine that reserved the realm of religion for the clerics and the realm of politics for the kings and politicians. He believed his model of the Islamic state was relevant for the entire Muslim world, not just for the Shia. 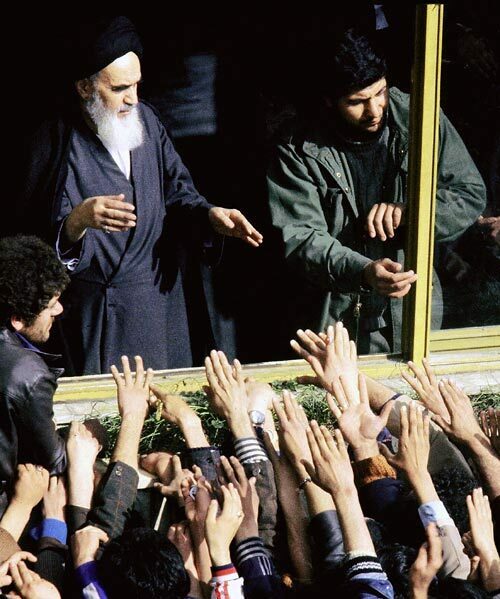 Part 3 traces the reaction in the Sunni world to Khomeini's revolution. Ordinary Sunni Arabs may have been attracted at first to Khomeini's vision, but the rulers of the Sunni world were threatened by it. In some cases, they financed and supported Sunni fundamentalist groups to compete with the Iranian version of Islamic fundamentalism. 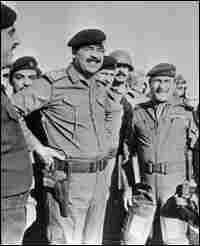 In the case of Sunni-controlled Iraq, Saddam Hussein's choice was war — an attempt to destroy Khomeini and his Islamic state. The Islamic Republic of Iran survived. The divisions between Sunni and Shia had deepened, but they remained largely hidden. They literally explode for all to see in Part 4. With the U.S.-led invasion of Iraq in 2003, the stage is set for the Shia there to seize control of Iraq's government for the first time in history, only to see a Sunni insurgency mount a murderous campaign against them. The entire Middle East watches with increasing concern as the sectarian conflict in Iraq deepens. Now the conflict has become so serious that no nation in the region is immune from its effects. The events of the past four years have challenged the very foundations of U.S. policy in the Middle East. The U.S. invasion of Iraq has strengthened Iran and brought the new leaders of Iraq and Iran closer together, much to the dismay of the United States. War has spread to Lebanon and the Palestinian territories and now threatens a wider community of nations. In the fifth and final part of the series, we examine the policies that have immersed the United States more deeply than ever in the Muslim world's sectarian divide.